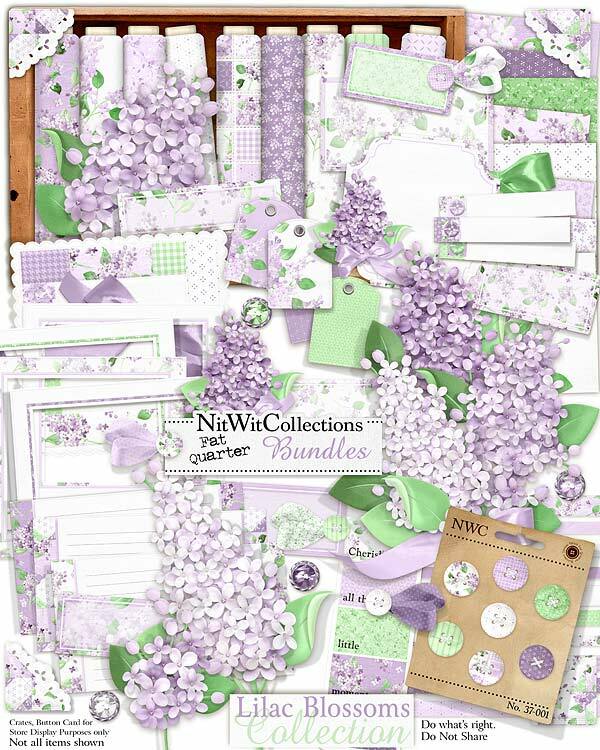 FQB "Lilac Blossoms" Collection opens like a pretty lilac flower and invites you to create to your heart's content! The soft tones of the beautiful digital elements and paper choices will provide you with endless opportunities to create your scrapbooking layouts and cards. What will speak to your creative energy when you open this on your screen....just let it flow and enjoy the process. 4 Button bows...very pretty elements that you must try using! 1 Lilac stem with a smaller bud....you always need lots of choices! 10 Ribbons in the colours and forms to compliment this digital kit!